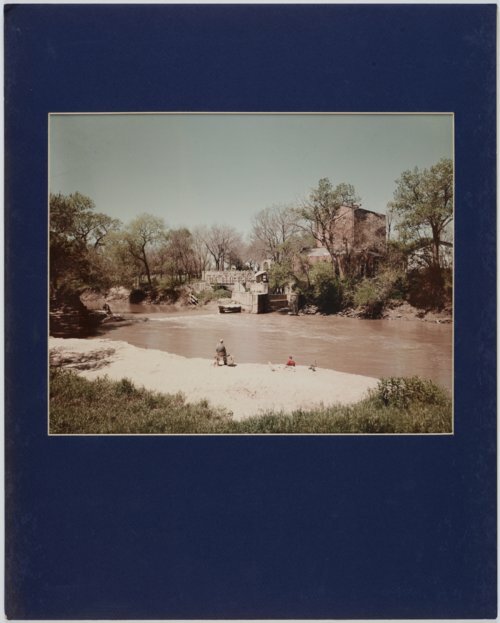 This is a photograph showing people fishing in the Smoky Hill River across from the Smoky Hill Roller Mill. The mill was built in 1898 and replaced an earlier mill which had been destroyed by fire. Originally water powered, the mill was later converted to steam power and then to electricity. Now the mill is a part of the McPherson County Old Mill Museum complex in south Lindsborg, Kansas.